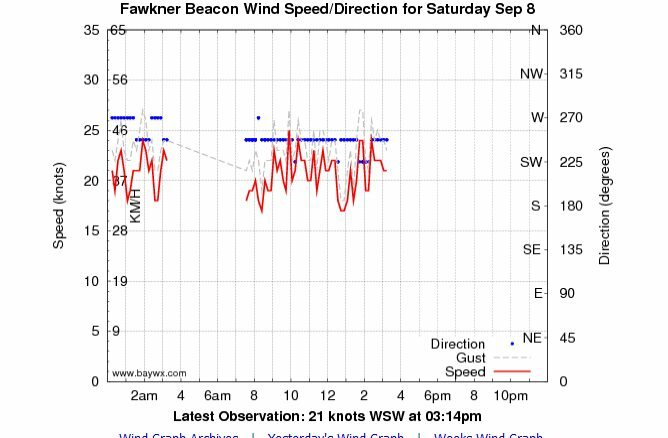 More frontal wind was forecast for Sunday. 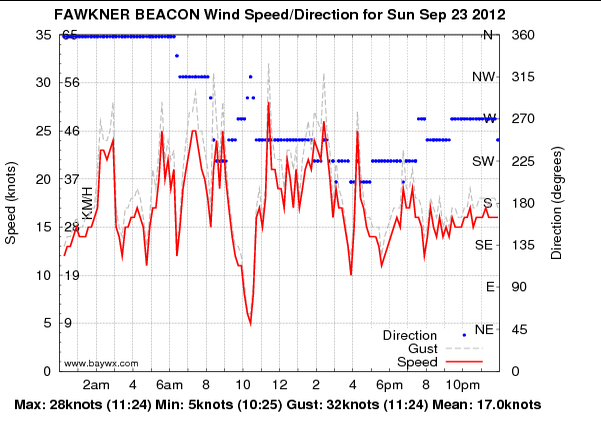 I arrived at Brighton at about 8:30 to find some wind offshore but a curious lull closer to the beach. Although it was not very cold I was keen to test out my new Ocean Rodeo Soul drysuit. Suiting up was easy. The ankle, wrist and neck seals were all simple to fit, and the large zip across the shoulders makes closing the suit simple. I wore a thin thermal top and bottom under it. I was immediately struck by the easy of movement compared to a wetsuit. The wind had picked up down at the beach so I had a nice session on my S-Quad surfboard. 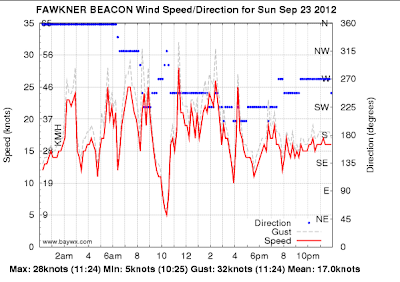 I did one long run up past the Brighton marina breakwater then rode some swells on the way back. It was quite weird but nice being completely dry apart from a little water in my booties. I was very warm too, even though my inner garments were quite light. Dunking into the water a couple of times cooled me down a bit. My gybes are coming together well now. I made every one today. Keeping balanced during foot moves is important - my feel for this is improving with practice. Maintaining a bit of board speed really helps too. I am sticking with a pre gybe turn from right tack to left and a post gybe turn from left tack to right. The wind dropped out after about 40 minutes so I came in. The Ocean Rodeo Soul drysuit is really nice to use. It will be great when the water is really cold, which may be next Winter now. "Sans instruments" today so no photos. 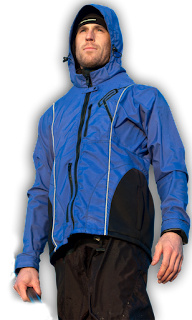 I will get a few shots of the drysuit in action next time. 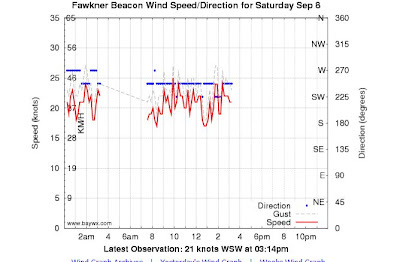 Check out the wind graph at Fawkner Beacon - it was up and down all day. Ocean Rodeo is offering a special discount to readers of my blog. Details are here. Stuart and I headed out from Hampton in a nice WSW wind of around 23 knots. We headed out past the Sandringham breakwater then South towards Half Moon Bay at Black Rock. I rode some swells in to the Cerberus wreck, which is now almost completely awash and will presumably collapse soon. The water was noticeably clearer up towards Black Rock compared to Hampton. Cruising back, the wind dropped out so we came to shore and walked a short distance along the beach. A squall came through with some better wind so we headed back out and did several tacks to get back past the breakwater. I completed several gybes successfully, but stuffed up a few, including right in front of the Sandringham Yacht Club. I finished with successive "slalom turns" on the swell to get back to Hampton Beach. I really nice session. It's great to go for a bit of a tour. Frankston beckons . . . next time maybe.